THE BATTLE IS NOT YOURS, BUT GOD’S. Our teaching from Torah, The Law of Moses will continue from Numbers 21.1-9. AND THE TITLE OF OUR MESSAGE IS, THE BATTLE IS NOT YOURS, BUT GOD’S. And with that said, let’s read Numbers 21.1-9. NUMBERS 21.1 King Arad and his region called Arad is generally identified in Canaan as being between Beersheba and the Dead Sea in the south of present-day Israel. So this king Arad the Canaanite, after hearing that Israel came by the way of the spies, came out with his armies and fought with Israel and took some of them prisoners. NUMBERS 21.2-3 So after Israel vowed a vow to The LORD asking Him to deliver those Canaanites into their hand, GOD answered by delivering the Canaanites to Israel. And Israel utterly destroyed them and their cities, and no doubt freed the Israeli prisoners. And GOD called the name of that place Hormah, meaning utter destruction. As a note of interest, the way of the spies from the wilderness of Zin in the present-day Sinai Peninsula led them up to the Euphrates River, the northern boundary of the Land of Israel that GOD gave to the Jewish People for an everlasting possession. And the city of Aleppo, yes, that city in Syria that is being bombed daily is not very far from the Euphrates River. And Aleppo is well known in Judaism for the Aleppo Codex. The Aleppo Codex is the oldest existing manuscript of the TNAKH, The Hebrew Bible. The Aleppo Codex, or The Aleppo Manuscript was NOT written in Allepo. It was written in Tiberius, the Israeli city by the Sea of Galilee in 930 C.E./A.D. from the Biblical texts as handed down for centuries by the schools of the Masorites, a Jewish People. The Codex, or the Manuscript was later taken to the city of Aleppo by a fifth generation descendant of Maimonides, the famous Jewish sage who immigrated to Aleppo. And he took the Codex with him. That is where the Aleppo Codex got its name. NUMBERS 21.4 So the People journeyed from Mount Hor which is in today’s Sinai Peninsula by the Gulf of Aqaba. The Gulf of Aqaba is a narrow strip of the Red Sea that flows to the southern tip of Israel. And the Children of Israel were discouraged because their journey from Egyptian slavery to Canaan was hard and difficult. NUMBERS 21.5-6 And again the People spoke against GOD, and against Moses, saying, Why have you brought us up out of Egypt to die in this wilderness? There is no bread or water here. And we are disgusted with this light bread that apparently was manna. And The LORD sent fiery serpents among the People, and they bit the People. And many of the People of Israel died. This journey to the Promised Land happened some 3,400 years ago. Heaven can also be called the Promised Land. But 3,400 years ago there were no airplanes, no El Al flights from Egypt to Israel in thirty minutes. But rather from Egypt to the new Jewish Homeland for Israel in forty years by foot. In wagons, on camels, on horseback, and mule. Living in tents and booths. Eating manna and quail every day. Fighting wars with nations that hated them, who wanted them killed. This was a tough trip, and they became discouraged. And life today can sometimes be tough and discouraging for us. But this forty year journey to the Promised Land proved that GOD keeps His Word. Even in impossible situations, He brought His People to the Land He Promised them. To give them their own Homeland, The Land of Israel. GOD showed His People His greatness, His power, His wonderful and marvelous works. His miracles, and His love and mercy. GOD protected His People, and watched over them, He led them, and taught His people His Word and His Laws that man does not live by bread only, but by every Word that proceeds out of the Mouth of The LORD does man live. And GOD miraculously fed His people and their animals thousands upon thousands of meals daily where there were no stores or McDonalds. He protected them in a harsh desert climate day and night. And led them by a cloud in the day time, and a pillar of fire in night time. And GOD defended His People in wars they never wanted, and never started. Until they entered Canaan where the Jewish People with GOD’S great help destroyed the Canaanites and conquered their land for their own Homeland. GOD showed His glory and His Being to His People daily. GOD also showed His anger to His Jewish People because we provoked Him to anger. And yet, GOD chose His Jewish People to be His Chosen People and His Witnesses to the world. To be a Holy People to The LORD THEIR GOD, and a special People to Himself, above all people that are upon the face of the earth. And the Jewish People are the People from whom The Messiah Yeshua as a human being was born. And no people can replace the Jewish people as GOD’S Chosen People. That is foolishness, and stupid. All GOD asked of His People in the wilderness was to love Him and obey Him. The same that He asks of us today. To love Him and obey Him. To love Him with all our heart and obey His every Word that proceeds out of the Mouth of GOD. But the People again spoke against GOD and against Moses. The trip was wearing them out, and they acted foolishly. They revolted against GOD and Moses because things weren’t going the way they wanted them to go. And GOD sent fiery serpents among them, and they bit the people, and many died. You know what GOD wants from us? He wants us to be humble. Humble is a word that means submissive. Submissive to GOD, not being proud or arrogant. Obedient to GOD’S Word. And The LORD will exalt you in due time. Jehoshophat, King of Judah was told that certain great armies were on their way to attack Judah and Jerusalem. And Jehoshophat humbled himself before The LORD his GOD, THE MIGHTY GOD OF ISRAEL. So yes, the battle is not yours, but GOD’S. Go to The LORD in prayer, often with a humble and a submissive heart. The serpent of brass on the pole possessed no magic. It was just a serpent of brass on a pole. But GOD said, when a person is bitten by a serpent, and looks at the serpent of brass on the pole, he will live. Why? Because when that person believed GOD, and did what GOD said, and looked at the serpent of brass on the pole, that person lived. The same formula applies today. When you believe what GOD says in The Bible, and you do what He says, you too will live. You will live with GOD forever. GOD’S will is His Decree and His Desire. And GOD’S Decree is His Law. The will of GOD for you is to do what GOD desires of you. To obey Him by doing His Decree, His Laws that are written in The Law of Moses. Posted on October 30, 2016 October 30, 2016 Categories Shabbat MessageLeave a comment on THE BATTLE IS NOT YOURS, BUT GOD’S. THE FUNCTIONS OF THE JEWISH PRIESTS IN THE PAST, AND IN THE FUTURE 1,000 YEAR KINGDOM OF GOD ON EARTH IN ISRAEL WITH MESSIAH, AND MUCH MORE. Our teaching will be from Numbers 20.22-29. AND THE TITLE OF OUR MESSAGE IS, THE FUNCTIONS OF THE JEWISH PRIESTS IN THE PAST, AND IN THE FUTURE 1,000 YEAR KINGDOM OF GOD ON EARTH IN ISRAEL WITH MESSIAH, AND MUCH MORE. And with that said, let’s read Numbers 20.22-29. NUMBERS 20.22 Kadesh is or was in the wilderness of Sinai, today part of Egypt. And Mount Hor is obviously in Kadesh, or near Kadesh that is about 50 miles south of Beersheba in today’s Israel. NUMBERS 20.23-24 I believe that GOD’S Words that Aaron will be gathered to his People mean that Aaron will be gathered to his People who are Abraham, Isaac, Jacob, and others who are in Heaven. And GOD will bring Aaron to Heaven to be with his People. On the other hand, if a person is headed to hell where family members are, that person is gathered to their people, in hell. (LUKE 16.29-31) And Abraham from afar off, answered the man in hell and said, Your brothers have Moses, that is the Law of Moses, and the Prophets, the Words of the Prophets. Let them Hear their Words, Pay Attention to Them, and Obey Them. And they will not be where you are in torment. Aaron and Moses did not enter the Promised Land, the land of Canaan that is Israel today because they rebelled against GOD at the waters of Meribah as explained in Numbers 20.7-12. And Moses did as The LORD commanded. And they went up into Mount Hor in the sight of all the Congregation. And Moses stripped Aaron of his garments and put them on his son Eleazar. And there Aaron died, on the top of the mountain. And Moses and Eleazar came down from the mountain, and the Congregation, the House of Israel mourned for Aaron thirty days. Aaron and his sons are the first Priests of Israel. So let’s look into the past and the future of the Kohanim, the Jewish Priests. Jewish tradition says, and I agree, that before the institution of the Priesthood, the firstborn of each family was automatically designated as the Spiritual Leader or the Priest of their home. That was part of their birthright. The Priesthood is collectively all the Priests. The first Priest mentioned in The Bible is Melchizedek meaning in Hebrew, King of Righteousness. EXODUS 29.4 That was the beginning of baptism that Judaism calls miqveh immersion. EXODUS 29.9 The Priesthood belongs to Aaron and his sons, and their descendants after them forever. It is a Statute forever. It cannot be transferred to another family other than the descendants of Aaron and his sons. (Romans 11.29) The gifts and calling of GOD are irrevocable. Not all Levites are Priests, but all Priests are Levites. The Priests must be descendants of Aaron and his sons who are Levites. The official functions of the Priests were and will be to minister to The LORD in the Tabernacle, and later the Temple. They were the messengers of The LORD. They offered the animal sacrifices to The LORD on the altar including the sacrifice for atonement. And the shedding of its blood for the Jewish People and the non-Jewish People who were living among them. They stood before the People to minister to them, and to bless the People in His Name. Much of the food that the Priests ate came from the animal sacrifices. And the Priests received ten percent of the tithes from the Levites from the tithes the Levites received from the People. The Priests were charged with the guard duty of the Tabernacle and later the Temple Sanctuary. And only the High Priest and his sons the Priests were allowed to minister in the Tabernacle and the Temple. The Priests sounded the trumpets on certain occasions. They instructed the people on Torah, The Law of Moses. And it was the Priest who gave GOD’S answer from the Urim and Thummin for things too difficult to answer. There has not been a Temple or Priesthood in Israel for close to 2,000 years. But there is a great and wonderful future for the Jewish People and all the Family of GOD when The LORD returns from Heaven. Let’s turn to EZEKIEL 40.1-4. In the 25th year of the Jewish captivity in Babylon, in the 14th year AFTER Jerusalem and the Temple were destroyed in 586 B.C.E. by the Babylonians, present day Iraq, The Hand of The LORD was upon Ezekiel the Priest. And GOD brought Ezekiel into Israel in visions to show him, and give him prophesies of The Temple and The Kingdom period on earth in Israel for 1,000 years. The prophesies cannot be about the second Temple because GOD prophesies that David is His Prince forever. And David died some 500 years before this prophesy. Nor can this prophesy be about what some people call the Tribulation Temple of Daniel 9.27 because that Temple will be flooded with idols by an anti-GOD person. And GOD will destroy that Temple 3 1/2 years after it’s built. Ezekiel Chapters 40, 41 and 42 explain the architecture of the future Millennial Temple. The sacrifice will be reinstated. And GOD’s Throne will be in The Temple where He will dwell in the midst of The Children of Israel forever, along with those non-Jewish People who served The LORD THEIR GOD, and kept His Sabbath on Saturday, and obeyed His Covenant, His Word and His Law of Moses. THE LORD YOUR GOD IN THE MIDST OF YOU IS MIGHTY. HE WILL SAVE. HE WILL REJOICE OVER YOU WITH JOY. HE WILL REST IN HIS LOVE. HE WILL JOY OVER YOU WITH SINGING. THUS SAITH THE LORD OF HOSTS, IF IT IS MARVELOUS IN THE EYES OF THE REMNANT OF THIS PEOPLE IN THESE DAYS, SHOULD IT ALSO BE MARVELOUS IN MY EYES? SAITH THE LORD OF HOSTS. AND I WILL POUR UPON THE HOUSE OF DAVID, AND UPON THE INHABITANTS OF JERUSALEM, THE SPIRIT OF GRACE AND OF SUPPLICATIONS. AND THEY SHALL LOOK UPON ME WHOM THEY HAVE PIERCED, AND THEY SHALL MOURN FOR HIM AS ONE MOURNS FOR HIS ONLY SON AND SHALL BE IN BITTERNESS FOR HIS FIRSTBORN. AND ONE SHALL SAY TO HIM, WHAT ARE THESE WOUNDS IN YOUR HANDS? THEN HE SHALL ANSWER, THOSE WITH WHICH I WAS WOUNDED IN THE HOUSE OF MY LOVED ONES. AND YOU ARE UNTO ME A KINGDOM OF PRIESTS, AND A HOLY NATION. The eastern gate to The Temple will be shut, and David the Prince will eat there before The LORD. When the Land is divided to the People in The Kingdom, there will be a Holy distribution of Land for The LORD of 8 miles by 3 miles. The entire area will be Holy. And the Temple will be inside that Land Area. And the Land shall be divided by lot for an inheritance to the People and to the Strangers who sojourn among you, who shall beget children among you. And they shall be unto you as born in the Country among the Children of Israel. Waters will issue forth from under the threshold of The Temple to water the Land of Israel. And the borders of Israel will be from a river in Egypt to the Euphrates river. And the name of the city will be called THE LORD IS THERE. 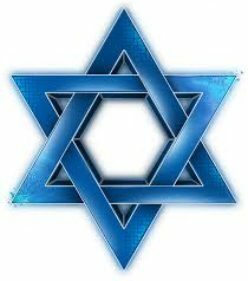 Posted on October 23, 2016 October 24, 2016 Categories Shabbat MessageLeave a comment on THE FUNCTIONS OF THE JEWISH PRIESTS IN THE PAST, AND IN THE FUTURE 1,000 YEAR KINGDOM OF GOD ON EARTH IN ISRAEL WITH MESSIAH, AND MUCH MORE. JACOB AND ESAU. ISRAEL AND EDOM. Our teaching this morning will be from Numbers 20.14-21. AND THE TITLE OF OUR MESSAGE IS, JACOB AND ESAU. ISRAEL AND EDOM. And with that said, let’s read Numbers 20.14-21. Isaac is the father of Jacob and Esau. Abraham is their Grandfather. And Esau hated his twin brother Jacob. And the descendants of Esau, the Edomites hated Israel. And the descendants of Jacob are Israel, the Jewish People. I SEE ESAU AND THE EDOMITES AS THE WORLD. AND JACOB IS ISRAEL AND THE JEWISH PEOPLE. We are all brothers from Noah, but much of the world hates Israel. The Jewish People descend from Shem along with some Arabs. While all the Gentile nations descend from Ham and Japheth. UNESCO that stands for United Nations Educational, Scientific and Cultural Organization, an agency of the U.N. voted to deny Jewish ties to The Temple Mount and the Western Wall. ISRAEL’S MOST HOLY SITES. The Temple mount is where Solomon built the first Temple some 3,000 years ago. And where the second Temple was rebuilt seventy years after the Babylonians destroyed it and Jerusalem in 586 B.C.E. And they (the United Nations) deny that the Western Wall, the retaining Wall for the second Temple has any ties to the Jewish People. The United Nations say that the Temple Mount and the Western Wall are exclusively Muslim. How dumb is that? Prime Minister Benjamin Netanyahu responded correctly, saying, The theater of the absurd continues at the U.N. The U.S. and England voted in favor of Israel. France abstained but earlier France had voted against Israel. Most of the nations that voted, voted against Israel. THE WORLD IS ESAU AND EDOM. ISRAEL IS JACOB AND THE JEWISH PEOPLE. Let’s look at some history of Jacob and Esau. GENESIS 25.23 The LORD said to Rebekah, two nations are in your womb. The two nations were Edom and Israel. And two manner of people shall be separated from your womb. The Jewish People and the Edomites. And one People shall be stronger than the other people. The Jewish People were stronger than the Edomite people. The Edomites no longer exist. And the elder shall serve the younger. Esau will serve Jacob. After defeating the Edomites in the many wars with Edom, the Edomites served as slaves and servants to Israel. Those are the prophetic words of GOD Almighty. All came to pass. So many Bible teachers choose to destroy Jacob because GOD chose Jacob and not Esau. Because GOD chose Israel and the Jewish People and not the nations. Let’s continue with GENESIS 25.24-27. GENESIS 25.25-26 Jacob’s name in Hebrew is YAH’AH’QOV. His name derives from Jacob gripping Esau’s heel at birth which in Hebrew is EQEV, gripping the heel. Thus the Name YAH’AH’QOV comes from the Hebrew EQEV meaning gripping the heel. GENESIS 25.27 And the boys grew, and Esau was a cunning hunter. Meaning, Esau was a knowledgeable and skillful hunter. And Jacob was a plain man dwelling in tents. Many of The Bibles write that Jacob was a PLAIN man, or a MILD man, or a WHOLESOME man, or a QUIET man, a COMPLETE man, A PLAIN AND QUIET man, a PEACEFUL man, or a SIMPLE man. BUT GOD CALLS JACOB A PERFECT MAN. WHEN GOD GAVE THESE WORDS TO MOSES TO RECORD IN THE TORAH, THE LAW OF MOSES, THE LORD CALLS JACOB BY THE HEBREW WORD TAHM, MEANING PERFECT, UPRIGHT, AND UNDEFILED. IN HEBREW, GOD SAID TO MOSES, VEE YAH’AH’QOV EESH TAHM. AND JACOB IS A PERFECT MAN. Yet destructive lies follow Jacob from the doctrine of too many Bible teachers, calling him a trickster, or supplanter, or deceitful. BUT GOD CALLS JACOB ISRAEL, AND PERFECT. The birthright of the elder male in the days of Jacob and Esau was an honor to be the Priest of the family. And because Jacob sold some soup or stew to Esau for his birthright, and GOD causing Jacob to receive his father Isaac’s blessing, whom Isaac thought was Esau, people call Jacob all sorts of terrible lies. Esau was neither duped or defrauded by Jacob. He sold his birthright because he despised it. Isaac was nearly blind in his old age and he wanted to bless Esau before he died. And he asked Esau to go into the field with his bow and arrow and make his father some savory meat that he loves, and I will bless you before I die, Isaac said. But Rebekah heard the conversation, and said to Jacob her son, “Obey my voice. Go to the flocks and get me two goats and I will make savory meat for your father that he loves. And you will bring it to your father and he will bless you”. This was all ordained by GOD. An example of THE LORD GOD moving people to fulfill His Word is found when Solomon died. It was GOD’S judgment to divide Israel into two Kingdoms because of their sin. The Jewish People had forsaken The LORD THEIR GOD by worshiping strange gods. And the People did not walk with their GOD, The GOD OF Israel, nor do that which was right by keeping GOD’S Statutes and Commandments. GOD’S PLAN FOR JACOB IS BEING CARRIED OUT. Because of all the grief with Esau and his hatred toward his brother Jacob, Isaac and Rebekah advised Jacob to spend some time away from home and visit Rebekah’s brother in Syria for a few days until Esau cools off. The few days in Syria turned into twenty years. And the time came for Jacob to return to his home and his family in Canaan with Leah and Rachel, his two wives, and two concubines, and twelve sons that were to be called the twelve tribes of Israel. And their daughter Dinah. And their servants and their flocks. GENESIS 32.3 Edom was in the area of today’s Jordan, south of the Dead Sea. GENESIS 32.6 With 400 men. No doubt to kill Jacob. But the hatred for Jacob and Israel, and the Jewish People spilled over to Esau’s Edomites. The Edomites attacked and killed Israelis. And Israel retaliated, and struck back at Edom taking the Edomites to be servants. AND GOD JUDGED EDOM , AND EDOM IS NO MORE. BUT THOSE WHO LOVE ISRAEL AND THE JEWISH PEOPLE, GOD WILL BLESS. AND THOSE WHO CURSE ISRAEL AND THE JEWISH PEOPLE, GOD WILL CURSE. Posted on October 16, 2016 October 31, 2016 Categories Shabbat MessageLeave a comment on JACOB AND ESAU. ISRAEL AND EDOM. YOM KIPPUR IS A DAY TO MAKE ATONEMENT, NOT FAST. Our message this morning will be about Yom Kippur, The Day of Atonement, which is today. And our teaching is from Torah, The Law of Moses in Leviticus 23.26-32. AND THE TITLE OF OUR MESSAGE IS, YOM KIPPUR IS A DAY TO MAKE ATONEMENT, NOT FAST. And with that said, let’s read Leviticus 23.26-32. The Children of Israel sinned a great sin and made a molten calf, and said, This is your god, O Israel which brought you up out of the land of Egypt. And Moses returned to The LORD in Mt. Sinai after being with Him for 40 days and 40 nights while the People made the idol, and Moses said to The LORD, Oh, this People have sinned a great sin, and have made them a god of gold. Yet now, if you will forgive their sin, and if not, blot me out, I pray from Your Book which You have written. GOD’S Book that Moses was speaking of is The Book of Life in which all who are Holy by having Atonement, and lived their lives in obedience to The LORD THEIR GOD by obeying every Word GOD speaks in The Bible that includes His Torah, His Law of Moses, and the Prophets of GOD, they are written and remain in GOD’S Book of Life forever. ATONEMENT IS ABSOLUTELY REQUIRED BY GOD FOR THE FORGIVENESS OF YOUR SINS, ALL OF THEM. AND SIN IS BREAKING ANY LAW IN TORAH, THE LAW OF MOSES. BUT WITHOUT ATONEMENT, HA SHEM SAYS, YOU WILL BE BLOTTED OUT OF HIS BOOK OF LIFE, THE BOOK OF THE LIVING. Those who sinned against GOD for making the golden calf required atonement by the daily animal sacrifice. And that had to be followed by repentance. Turning to The LORD THEIR GOD and ridding themselves of their sins and obeying all GOD’S Laws that are written in The Law of Moses. Doing that which is Lawful and right. Breaking Torah, The Law of Moses, or any Word that GOD speaks in The Bible is sin. And sin will only be forgiven by The LORD YOUR GOD by a sacrifice, an offering to the LORD, and its shed blood. That rule of GOD applies today. But not by an animal sacrifice. Let’s return to GOD’S Words pertaining to Yom Kippur, The Day of Atonement. LEVITICUS 23.26-27 And The LORD spoke to Moses saying, Also, that is, in addition to The Memorial of Blowing of Shofars that Judaism calls Rosh Ha Shanah, The New Year. And the Saturday Sabbath, and The Passover, and Shavuot, Pentecost. Thus, also on the tenth day of this seventh month, that is the tenth day of the Hebrew month Tishrei (today) there shall be a Day of Atonement. It shall be a Holy Convocation. A Holy Convocation is a Day set apart for The LORD for His People to hold a Special Service Dedicated to Him, The LORD YOUR GOD. And, The LORD continued speaking, You shall afflict your souls. THE HEBREW WORD FOR AFFLICT, AS IN ,”YOU SHALL AFFLICT YOUR SOULS” IS AH’NAH. AH’NAH MEANS HUMBLE AND SUBMIT. YOU MUST HUMBLE YOURSELF, AND SUBMIT YOURSELF TO THE LORD YOUR GOD. AFFLICT YOUR SOULS DOES NOT MEAN FAST. AFFLICT YOUR SOULS MEANS TO BE HUMBLE AND SUBMISSIVE TO THE LORD YOUR GOD. And GOD continued speaking, and this a very important Commandment. AND YOU SHALL OFFER AN OFFERING MADE BY FIRE UNTO THE LORD. THAT OFFERING, THAT SACRIFICE IS OF HUGE IMPORTANCE FOR YOU ON YOM KIPPUR, FOR IT IS A DAY TO MAKE ATONEMENT FOR YOU BEFORE THE LORD YOUR GOD. ISAIAH 40.8 IN HEBREW, THE WORD OF OUR GOD SHALL STAND FOREVER IS, OOD’VAR ELOHAYNU YAH’KOOM L’OLAM. THE WORD OF OUR GOD “STANDS” FOREVER, “ENDURES” FOREVER, IS A “DECREE” FOREVER, “ESTABLISHED” FOREVER, AND “SUCCEEDS” FOREVER. MEANING, THE SACRIFICE, THE OFFERING OFFERED TO THE LORD ON YOM KIPPUR, A TERM MEANING A SACRIFICE BROUGHT TO THE LORD, STANDS FOREVER. IT CANNOT BE CHANGED OR DONE AWAY WITH. There’s no Temple in Jerusalem. Thus, there can not be an animal sacrifice. The LORD OUR GOD has chosen His Jewish People to be His Chosen People, to be a Holy People to The LORD, to be a Special People to Himself above all people that are upon the face of the earth. And He has made His Jewish People His Witnesses to the world, to be His servant, to know and believe GOD. And to understand that OUR GOD IS GOD, and there are no others. And besides The LORD OUR GOD, there is no Deliverer, no Savior. Yet GOD has shut the eyes of countless Jewish People to understanding His New Covenant spoken by Jeremiah the Prophet. SO MANY JEWISH PEOPLE DO NOT UNDERSTAND THAT GOD’S NEW COVENANT THAT HE GAVE TO HIS JEWISH PEOPLE IS FOR YOUR ATONEMENT. THE FORGIVENESS OF ALL YOUR SINS. AND GOD’S NEW COVENANT FOR YOUR ATONEMENT AND THE ATONEMENT FOR ALL PEOPLES IS YOUR JEWISH MESSIAH YESHUA. ATONEMENT CAN ONLY BE MADE BY THE SHED BLOOD OF A SACRIFICE TO THE LORD. THE RABBIS CHANGED GOD’S LAW FOR ATONEMENT ON YOM KIPPUR. THEY INSIST THAT FASTING, REPENTANCE, PRAYER, CHARITY, AND OTHER THINGS ATONE FOR YOUR SINS. IT IS THE NEW COVENANT, YESHUA THE MESSIAH, WHO HIMSELF IS HA SHEM, GOD ALMIGHTY WHO GAVE HIS LIFE TO ATONE FOR YOUR SINS. THEN YOU MUST REPENT AND TURN FROM YOUR SINS AND LIVE YOUR LIFE ACCORDING TO TORAH WRITTEN IN THE FIRST FIVE BOOKS OF TNAKH, THE HOLY SCRIPTURES. Let’s return to LEVITICUS 23.28. We are not to do any work during The Day of Atonement. FOR IT IS A DAY OF ATONEMENT TO MAKE ATONEMENT FOR YOU BEFORE THE LORD. The Jewish People in Israel do not work on Yom Kippur. The streets are empty of cars. But families walking to their Synagogues. Many men wearing their Tallisim, their Prayer Shawls and Kippahs. All other countries disregard Yom Kippur, except the Jewish Communities who fill their Synagogues. BUT YOU MUST HAVE ATONEMENT. LEVITICUS 23.29 Again afflicting your soul is being humble before The LORD, and submitting yourself to Ha Shem in obedience to Him. AFFLICTING YOUR SOUL IS NOT FASTING. As brilliant as some of the Rabbis were in the past, and some are today, they made a huge mistake when they took the Talmudic Hebrew word ta’anit to mean fast in preference to the Biblical word TSOM that in fact means fast. And the Rabbis and many Jewish People continue to make a huge error by rejecting their Jewish Messiah Yeshua for their Atonement. Messiah Yeshua is despised and rejected by many Jewish People as being their Jewish Messiah, and their GOD, Ha Shem for numerous reasons. None are true. I say those Jewish People should read The New Testament, because The New Testament is Torah, part of GOD’S Law. MESSIAH YESHUA GAVE HIS LIFE FOR YOU TO BE YOUR ATONEMENT. THAT IS THE PRIMARY REASON HE CAME TO ISRAEL 2,000 YEARS AGO, TO GIVE HIS LIFE AS AN OFFERING OFFERED TO HA SHEM FOR YOUR SINS. MESSIAH CANNOT BE BLAMED FOR THE MANY CRIMES DONE TO US, THE JEWISH PEOPLE BY OTHERS IN HIS NAME. THAT IS AN ACT OF SATAN. Yes, Messiah Yeshua did contend at times with the Pharisees for their many errors that they taught for doctrine from the oral law, the Talmud. Such as today’s Rabbinic teaching for Yom Kippur. But Ha Shem warns His people for not afflicting their souls. Not being humble before The LORD YOUR GOD, and submitting to Him by obeying every Word He speaks in The Bible. Nowhere in The Bible does GOD ever warn us for not fasting. Fasting is not a commandment of GOD. LEVITICUS 23.30-31 Again GOD warns us about working on Yom Kippur, The Day of Atonement. LEVITICUS 23.32 Yom Kippur is a Sabbath of rest. You must be humble to The LORD your GOD, submitting yourself to The LORD by being obedient to His every Word. In the ninth day of the month at evening, from evening to evening, you shall celebrate your Sabbath. Most Jewish Bibles do not use the word celebrate, as in, “You shall celebrate your Sabbath.” They read mostly, “You shall keep your Sabbath.” Both are right. You shall celebrate your Sabbath, and you shall keep your Sabbath. But when you have atonement according to the doctrine of GOD, Ha Shem in the Bible, having Atonement in your Jewish Messiah Yeshua, and repenting by turning away from your sins of breaking Torah, to obeying Torah in the first five Books of The Bible, you can celebrate because you are written in GOD’S Book of Life. There is no sin in Heaven, no curse, no tears, no death, no sorrows, nor crying. Posted on October 13, 2016 October 31, 2016 Categories Shabbat MessageLeave a comment on YOM KIPPUR IS A DAY TO MAKE ATONEMENT, NOT FAST. Our teaching this morning from Torah, The Law of Moses will come from Numbers 20.1-13. AND THE TITLE OF OUR MESSAGE IS, WHAT IS THE MYSTERY OF MESSIAH THAT THE GENTILES SHOULD BE FELLOWHEIRS AND OF THE SAME BODY? And with that said, let’s read Numbers 20.1-13. And the whole Congregation of the Children of Israel, some three million Jewish People came into the desert of Zin in the first month of the year. Possibly the first month of their fortieth year in the wilderness before entering The Promised Land. And they came into the desert of Zin which is in the Sinai, today part of Egypt. And they stayed at a place called Kadesh, meaning sanctuary. And Miriam, the sister of Moses and Aaron died there, and she was buried there. And there was no water for the People. And they gathered themselves together against Moses and Aaron. And they quarreled and complained to Moses saying, If only we had died with our brothers when they died before The LORD. Well, 14,950 of their brothers died before The LORD because they rebelled against Moses and Aaron. Numbers 16. DEUTERONOMY 8.3 There are times in life that The LORD puts us through afflictions and troubles to teach us that we must live by every Word of GOD. The People were complaining to Moses and Aaron the High Priest for bringing them into this wilderness. We and our animals will die here, they said. And why have you made us come up out of Egypt to bring us to this evil place? A place with no grain, or figs, or vines, or pomegranates. And there’s not any water to drink. And Moses and Aaron left the People and went to the entrance of the Tabernacle, and they fell on their faces. And the Glory of The LORD appeared to them. And The LORD said to Moses, Take the rod and gather the People together, you and Aaron your brother. And before their very eyes, speak to the rock and it will bring forth water. And you will bring water for them out of the rock. And you will give the Congregation and their animals water to drink. And as The LORD commanded Moses, he took the rod that was before The LORD. And Moses and Aaron gathered the Congregation together before the rock. And Moses raised his hand and smacked the rock twice with his rod. And The Bible says, “Water came out abundantly.” And all the People of the Congregation, some three million drank, and their animals also. Moses did not do a thing that GOD commanded him to do. Moses disobeyed GOD. He sinned against GOD, and that was unusual. Very unusual for Moses. GOD told Moses to speak to the rock, not hit it. And Moses never gave credit to The LORD for the Mighty Miracle of producing water from a rock for three million People and their animals to drink. He took the credit for himself and Aaron. And GOD said to Moses, You did not Sanctify Me in the eyes of the Children of Israel. Moses did not Honor The LORD GOD for His Great Miracle. Nor did he Praise The Mighty GOD Who Is Holy, Set On High, To Be Feared And Obeyed, And Held In Awe. Moses and Aaron did none of those things. And GOD said, Therefore you and Aaron will not bring this Congregation into the Land which I have given to the Children of Israel. And the punishment for their sin? GOD did not allow them to bring the Children of Israel into the Promised Land. And Numbers 20.13 reads, “And this is the water of Meribah,” which means strife in Hebrew. Because the Children of Israel strove with The LORD, and The LORD was Sanctified in them. The People knew that The Mighty GOD Who Is Holy, Is To Be Praised, And Feared, And Obeyed, Honored, And Held In Awe. We certainly will see Moses and Aaron in the Millennium, the 1,000 year Kingdom of GOD on earth in Israel with Messiah Yeshua. And in Heaven. But what disqualifies people from eternity is continuously sinning. Having no change. Never turning to GOD to repent. Disobeying GOD. Disobeying The Word of GOD. Disobeying GOD’s Laws, Teachings, and Instructions that are written in The Law of Moses. And disobeying the Prophets of GOD. I began reading The Bible daily thirty-six years ago in 1980. And I have studied and taught The Bible for some thirty years. And I realize with utmost belief and understanding that the most important teaching of GOD is to live by every Word GOD speaks in The Bible. And that includes The Law of Moses and the Prophets of GOD. And knowing and believing there is only ONE GOD AND NO OTHERS. That is central to your walk with The LORD YOUR GOD Who is The Jewish Messiah Yeshua. And indispensable in your worship to The LORD YOUR GOD. DEUTERONOMY 6.4, DEUTERONOMY 8.3, MATTHEW 4.4, LUKE 4.4, MARK 12.29, ISAIAH 43.10-12, ETC. DISOBEDIENCE TO GOD IS SIN. DISOBEDIENCE TO GOD’S WORD AND HIS LAW OF MOSES IS SIN. On the sixth day of GOD’S Creation after He ended His work, GOD saw everything that He made and it was VERY GOOD. There was no sin, no curse in the earth. The entire earth was like the Garden of Eden. Perfect, sinless, no curse, beautiful and magnificent. And GOD created Adam and Eve, the beginning of humanity, perfect, and without sin to live forever on the earth that was like The Garden of Eden. And GOD gave Adam, the first human being a commandment. The first recorded Words that GOD spoke to a human. GOD’S Commandment was easy to understand and do as all GOD’S Commandments are. Don’t eat from the tree of the knowledge of good and evil, lest you die. But for some reason, perhaps for GOD to show His love to mankind to give His Life as a human being in the Person of Messiah Yeshua to forgive us our sins, GOD put satan on earth as a snake in the same neighborhood with Adam and Eve. And of course satan lied to Eve and told her it’s okay to disobey GOD. You will not die, he said. So Adam and Eve disobeyed GOD, and they did die. That was the beginning of sin. And we are continuously taught today that it’s okay to disobey GOD. We are taught by countless teachers of The Bible that Jesus abolished The Law of Moses on the cross, they say. And we are taught the trinity of three different gods by countless Bible teachers. Lies of satan the snake that result in eternal death rather than eternal life. The flood in Noah’s day was because of sin, disobedience to GOD. The Jewish People in Israel have suffered three exiles because of disobedience to GOD. The first exile was in 722 B.C.E. from northern Israel. The Lord had His People carried away to Assyria by the Assyrians because of their disobedience to THE LORD THEIR GOD.. The second exile in 586 B.C.E., the Babylonians destroyed The Temple and Jerusalem. And the Jewish People of southern Israel were exiled to Babylon because of disobedience to GOD, THEIR GOD. And in 70 C.E., the Romans destroyed Jerusalem and the second Temple, and THE LORD THEIR GOD scattered the Jewish People to the four corners of the earth for rejecting their Messiah Yeshua. Disobedience to THEIR GOD because they did not know the time of Messiah’s Coming from the hundreds of prophesies in The Law, the Prophets, and the Writings. AND GOD WILL DESTROY THE WORLD IN THE FUTURE BECAUSE OF SIN, DISOBEDIENCE TO GOD. IT IS WRITTEN. BUT FOR THOSE WHO HAVE ATONEMENT IN THE MESSIAH YESHUA, AND TURN TO GOD AND LIVE BY EVERY WORD THAT GOD SPEAKS IN THE BIBLE INCLUDING HIS LAW OF MOSES AND THE PROPHETS OF GOD, YOU ARE THE FAMILY OF GOD. AND YOU HAVE ETERNAL LIFE IN HEAVEN. HERE ARE SCRIPTURES OF FACT THAT DISOBEDIENCE TO GOD BRINGS GRIEF. WHILE OBEDIENCE TO GOD WITH MESSIAH YESHUA BRINGS ETERNAL LIFE. GOD in a million years would never send anybody to the Jewish People or to any people to tell them that The Law of Moses is abolished. Or to teach a trinity of three different gods. That is satan’s teaching. THE NON-JEWISH PEOPLE COME IN WITH GOD’S CHOSEN PEOPLE, THE JEWISH PEOPLE, AND BECOME FULLY PART OF GOD’S CHOSEN PEOPLE, AND RECEIVE ETERNAL LIFE IN MESSIAH YESHUA BY LIVING YOUR LIVES ACCORDING TO THE TRUE GOSPEL OF GOD AS TAUGHT IN THE BIBLE. THE TRUE GOSPEL OF GOD IS THIS. HAVING FAITH IN THE MESSIAH YESHUA FOR THE FORGIVENESS OF ALL YOUR SINS. AND TURNING TO GOD BY OBEYING EVERY WORD GOD SPEAKS IN THE BIBLE. THAT INCLUDES HIS LAW OF MOSES AND HIS PROPHETS. THAT IS THE TRUE GOSPEL THAT IS TAUGHT IN THE BIBLE. AND THAT IS ETERNAL LIFE. ANYTHING DIFFERENT FROM THE TRUE GOSPEL OF GOD IS SIN, DISOBEDIENCE TO GOD. ROSH HA SHANAH, THE NEW YEAR, BUT CALLED A MEMORIAL OF BLOWING OF SHOFARS IN THE TORAH. Shalom and L’Shanah Tovah. Peace and Health and to a Good Year. Our message this morning from Torah, The Law of Moses will come from Leviticus 23.1-2 and 23-25. AND THE TITLE OF OUR MESSAGE IS, ROSH HA SHANAH, THE NEW YEAR, BUT CALLED A MEMORIAL OF BLOWING OF SHOFARS IN THE TORAH. And with that said, let’s read Leviticus 23.1-2 and 23-25. Please note in Leviticus 23.1 and 2 that today and all the Festivals written in Leviticus 23 are Festivals of the LORD. Today is the first day of the seventh Hebrew month Tishrei. And as spoken by The LORD GOD today is a Sabbath, A Memorial Of Blowing Of Shofars, or A Memorial Of Blowing Of Trumpets. But called in Judaism, Rosh Ha Shanah, The New Year. And today is a Holy Convocation. That is a day for The LORD’S People to gather together for a Service dedicated to The LORD THEIR GOD. And The LORD commands His People not to work on this Day. Not to do any work of any kind on this Holy Day of GOD. And The LORD Commanded the Children of Israel to offer an offering made by fire to The LORD. The Law of the sacrifice was in force during those days, the days of the Tabernacle and the First and Second Temples. However, in place of the animal sacrifice, The LORD GOD anointed Himself as a human being in the Person of The Jewish Messiah Yeshua to give His Life voluntarily 2,000 years ago in Jerusalem to be the Perfect Atonement for His Jewish People and all people. The LORD GOD ALMIGHTY HA SHEM MADE MESSIAH YESHUA’S SOUL AN OFFERING FOR SIN TO FORGIVE YOU ALL YOUR SINS . TODAY, THE JEWISH MESSIAH YESHUA IS YOUR ATONEMENT. ISAIAH 53.10, ISAIAH 52.13-15, ISAIAH 53. 1-12, PSALM 22, ZECHARIAH 12.10, EXODUS 12.46, PSALM 16.10, HEBREW BIBLE PSALM 34.21, CHRISTIAN BIBLE PSALM 34.20, PSALM 110.1, DANIEL 9.24-26, LEVITICUS 17.11, MARK 10.4, ALL FULFILLED IN NEW TESTAMENT TIMES. The explanation for why the first day of the seventh Hebrew month Tishrei is the Jewish New Year is a long and complicated one. You can read why the Rabbis made this day the Jewish New Year in the Talmud, or on line in the First Mishnah Tractate Rosh Ha Shanah. But the emmis, the truth of this Festival according to The Word of The LORD, Ha Shem is written in LEVITICUS 23.23-25. I was told recently by a very religious Jewish man that Leviticus 17.11 applies only to sacrificed animals. And that is wrong. Leviticus 17.11 applies forever. It is The Word of GOD. For it is the blood that makes an atonement for the soul. And Yeshua The Messiah’s blood made Atonement for your soul. There is no other way for Atonement. ISAIAH 40.8 reads, The grass withers, the flower fades, But the Word of Our GOD shall stand forever. As this Holy Day is called by The LORD, A Memorial, or A Remembrance Of Blowing Of Shofars, or Trumpets, let’s remember some of the countless and wonderful things GOD has done for us and continues to do for us. The Rabbis see this Special Day for remembering The LORD GOD for the Creation of the world. And the worship stresses Jewish yearning for the establishment of GOD’S sovereignty over the entire world. Ushering in the millennium, one thousand years of the Kingdom of GOD on earth in Israel, bringing in eternal peace with The Messiah. Also we are reminded of the blasts of the trumpets in Israel when the Jewish People were in danger and went to war against their enemy. GOD Commanded the People to blow an alarm with the trumpets, and the People were remembered before The LORD THEIR GOD. And GOD saved them. And GOD still saves His People. Or the Shofars that are sounded when celebrating The LORD’S Festivals that are written in LEVITICUS 23. The Rabbis teach that Rosh Ha Shanah became a time in Judaism to begin a ten day period of penitence, that is repentance beginning on Rosh Ha Shanah and ending at Yom Kippur. Thus GOD established the animal sacrifice for atonement as written in Torah in the days of the Tabernacle and the First and Second Temples. That is GOD’S teaching for repentance. Anything different is man’s repentance that is no repentance. And you must always remember that GOD’S kindness will never depart from you. You must always remember and know and believe that there is only ONE GOD. And that Yeshua The Messiah is that ONE GOD. He is The Father, The Son, The Messiah, The Spirit, The Holy Spirit, and so much more. MESSIAH YESHUA IS HA SHEM. And always remember that Messiah tells you not to worry about anything, but to Seek GOD and His Righteousness. Meaning Seek GOD and DESIRE His Righteousness. Shalom, and L’Shanah Tovah. Peace and Health, and to a Good Year. Posted on October 4, 2016 October 5, 2016 Categories Shabbat MessageLeave a comment on ROSH HA SHANAH, THE NEW YEAR, BUT CALLED A MEMORIAL OF BLOWING OF SHOFARS IN THE TORAH. THE RED HEIFER, AND THE RETURN OF THE MESSIAH. Our teaching from Torah, The Law of Moses will come from Numbers 19.1-9. And we will complete the entire Chapter to Verse 22 in our study. THE TITLE OF OUR MESSAGE IS, THE RED HEIFER, AND THE RETURN OF THE MESSIAH. And with that said, let’s read NUMBERS 19.1-9. There seems to be quite a bit of talk about the red heifer. Talk that when the red heifers appear in Israel, the return of Messiah is soon. But unfortunately, I don’t read that in the Scriptures. What I do read is that the red heifer, or the red cow will be sacrificed, and its ashes used for a water of impurity for purifying. However there is a link to the red heifer and Messiah’s return. As for the return of Messiah, The Bible gives us a number of prophesies. And we will address that in our teaching. But first, let’s read about GOD’S Law for the red heifer. NUMBERS 19.1-2 The LORD spoke to Moses and Aaron saying, this is the ordinance of The Law (that is a Law within The Law of Moses) that The LORD has commanded concerning the red heifer. As a point of information, this Law concerning the red heifer is only in effect when the Temple is standing in Jerusalem. And that is the link between the red heifer and Messiah’s return. And the Law of the red heifer will be reinstated when the next Temple is built in Jerusalem. The Law of the red heifer is this. The red heifer must be brought to the Priest. It must be without spot, having no blemish. It must be perfect and never harnessed for work in the field. NUMBERS 19.3-8 The red heifer was given to Eleazar the Priest, or to a future Priest to bring the animal outside the camp. And another man killed it in the presence of the Priest. Outside the camp when the Tabernacle was standing was a distance from the tents of the twelve Tribes of Israel that surrounded the Tabernacle. Outside the camp when the Temple was standing in Jerusalem, I believe, was a distance from the Temple, or perhaps outside of Jerusalem. So Eleazar the Priest walked the red heifer outside the camp. And another man killed it in the presence of Eleazar. And Eleazar the Priest took her blood with his finger and sprinkled it toward the front of the Tabernacle seven times. And another person burned the heifer in the sight of Eleazar the Priest. It’s skin, her flesh, and her blood with her dung as The LORD commanded. And the Priest took cedar wood, and hyssop, a plant having an aroma of mint, and a scarlet dye, and tossed them in the fire that consumed the heifer. And as commanded by The LORD, the Priest washed his clothes, and bathed in water. And afterward, he came into the camp, and he was unclean until the evening. And then he was clean and pure in the sight of GOD. Being unclean is being impure and defiled before The LORD. And the person who burned the red heifer was also required to wash his clothes in water, and bathe in water. And that person was also unclean until the evening. NUMBERS 19.9-12 And a man that was clean gathered up the ashes of the red heifer, and stored them outside the camp in a clean place. And the ashes with the mixture of cedar wood, hyssop, and scarlet dye were kept for the Children of Israel for a water of impurity for purifying. And the person who gathered the ashes of the red heifer washed his clothes and was unclean until the evening. This is a permanent Law, a Statute forever concerning the red heifer for the Children of Israel and the stranger who lives among them when the Temple in Jerusalem is standing. HERE IS THE PURPOSE OF THE RED HEIFER. THE PERSON WHO TOUCHED THE DEAD BODY OF ANY HUMAN BEING WAS UNCLEAN IN THE SIGHT OF THE LORD SEVEN DAYS. AND THE LORD GOD REQUIRED THAT PERSON TO BE CLEAN AND PURE IN HIS EYES. THUS THE LORD USED THE SACRIFICED RED HEIFER’S ASHES TO PURIFY THAT PERSON. The unclean person was purified on the third day of their uncleanness by the water of impurity of the red heifer that purifies. And on the seventh day, he or she was clean in the sight of GOD. But if the person would not purify himself with the water of impurity that purifies on the third day of his uncleanness, then on the seventh day of his uncleanness, that person was not clean in the sight of GOD. NUMBERS 19.13-18 And The LORD continues His Law of the red heifer. Whoever touched the dead, the dead body of a human being that died naturally, and did not purify himself with the water of impurity that purifies from the red heifer, that person defiled the Tabernacle of The LORD. And that person was cut off from Israel because the water of impurity that purifies was not sprinkled upon him. He or she remained unclean. Their uncleanness remained upon them. Being cut off from Israel can mean being expelled from Israel, or punishment by death. This is the Law when a person dies in a tent, or in a home. All that came into the tent or home, and all that were in the tent or home are unclean for seven days. And every open vessel in the tent or home with no fixed lid on it is unclean. And whoever touched a dead body that was killed in the open field, or died naturally, or touched the bone of a dead person, or touched a grave was unclean for seven days. For making the person clean who was unclean because of touching a dead body, this is what the LORD commanded. Some of the ashes of the burned red heifer, and fresh water was added in a vessel with the ashes of the heifer. And a person who was clean took hyssop, and dipped it in the water and sprinkled it on the tent or inside the home. And on all the vessels, and the people who were there, or on the person who touched the bone of the dead. Or who touched the person that was dead, or who touched the person who was killed. Or who touched the person who died naturally, or who touched a grave. NUMBERS 19.19-22 A clean person sprinkled the water that purified on the unclean person on the third day, and the seventh day of their uncleanness. Thus purifying the unclean person and making him clean on the seventh day. The person who was cleansed washed his clothes, and bathed in water. And in the evening, that person was clean in the eyes of GOD. But if the person who was unclean would not purify himself, that person was cut off from among the Congregation of the Children of Israel. Because he or she defiled the Sanctuary of The LORD. That person remained unclean in the sight of GOD. This is a Statute forever when the Temple is standing in Jerusalem. He or she that sprinkled the water of impurity that purifies washed their clothes. And the person who touched the water of impurity that purifies was unclean until the evening. And whatever the unclean person touched was unclean. And the person that touched the unclean person, or the unclean thing was unclean until the evening. THE LORD KNOWS YOUR IMPURITIES AND SINS. THEY’RE NO SECRET TO HIM. SO HE GAVE YOU A WAY TO CORRECT THEM AND LEAD A HOLY LIFE. AND THAT IS ACHIEVED BY LIVING YOUR LIFE OBEYING ALL GOD’S LAWS, TEACHINGS, AND INSTRUCTIONS THAT ARE WRITTEN IN THE LAW OF MOSES IN THE FIRST FIVE BOOKS OF THE BIBLE. AND THEN YOU WILL BE CLEAN AND PURE IN THE EYES OF GOD. Let’s talk about the return of The Messiah Yeshua, The GOD of all the earth, Ha Shem. The only One who knows the exact Day of His return is GOD Himself, The Father, Who is Messiah Yeshua, Ha Shem. However The LORD gives us a window of knowledge of His return to Israel by certain events that will take place in the world. One major event that will happen is this. The Jewish People will return to The LORD THEIR GOD and obey His Voice by obeying His Torah, all His Laws, Teachings, and Instructions that are written in The Law of Moses in the first five Books of The Bible. Why suddenly will the Jewish People return to The LORD THEIR GOD and obey Torah, His Law of Moses? I believe that in time in the near future THE LORD THEIR GOD, Ha Shem will cause His Jewish People to listen to 144,000 Messianic Jews who will teach and preach the truth of GOD. That their Jewish Messiah Yeshua is Ha Shem, The GOD of the whole earth. And GOD’S People will turn to The LORD THEIR GOD and turn their life to Torah, GOD’S Law of Moses in the first five Books of The Bible. And they will remain in GOD’S Book of Life and live, and have eternal life in GOD’S Kingdom on earth in Israel, and Eternal life in Heaven. That is the True Gospel, The Good News of Messiah. And there are other events that will cause the Messiah to return. All happening very close together. The LORD tells us in The Bible that there will be a seven year peace treaty with Israel and perhaps the Palestinians. And GOD in His wrath will destroy the Temple and the anti-GOD person in a moment. And that’s when great trouble and tribulation will fall upon the entire world because the people of the earth have transgressed GOD’S Laws that are written in the Law of Moses, changed and abolished His Ordinance, and broken His Everlasting Covenant, His Word and His Law. And great tribulation will come upon the world such as never was since the beginning of the world. And that is when The Messiah Yeshua, GOD ALMIGHTY will return and save His Jewish People in Israel and throughout the world. By destroying all their enemies. And that Day of Messiah’s Return may very possibly come during a future Rosh Ha Shanah that is called in Torah, A Memorial Of Blowing Of Shofars. And The LORD will gather His People from all the nations where He scattered us. And the Jewish People and all the non-Jewish People who served The LORD THEIR GOD and kept His Sabbath, and had Atonement in The Jewish Messiah Yeshua, or the animal sacrifice in its day. And in Israel, like the Garden of Eden, we will live in peace, and joy, with no wars, no tears, no death, no sorrow, no crying, and no pain for one thousand years. For all those troubles will be gone forever. So yes, there is a link between the sacrifice of the Red Heifer when the next Temple in Jerusalem is built, and Messiah’s Return. Posted on October 2, 2016 October 2, 2016 Categories Shabbat MessageLeave a comment on THE RED HEIFER, AND THE RETURN OF THE MESSIAH.